As technology progresses further each year, businesses evolve alongside it. Nowadays, most businesses have moved online to have a better chance of reaching out to their desired audience. That’s where websites make a difference between a business that will stand out and a business that will soon be forgotten. Since the online competition is stronger than ever, eCommerce business owners have to make an extra effort to design their websites and outrun their competitors. However, very few business owners realize the importance of a well-designed website and the benefits it brings to their business. That’s why many business owners neglect to properly design their website or simply think it’s not necessary to bother too much. Nevertheless, a good website design is essential to your business success and it also matters a great deal to your customers. Furthermore, how your website looks and functions will influence the outcome of your future business decisions. If you truly want your eCommerce business to succeed, make sure you properly design your website and give your audience what they need. In return, you’ll get what you need and that’s an increase in sales. Here are a few ways how a website design can increase your online sales. Proper research is imperative when designing your website. The reason is that you’ll be able to understand how to best appeal to your audience. A lot of business owners either choose to design their website on their own – even if they’re not designers or design it according to their own personal preferences. Both of these methods are wrong because your customers expect good functionality and usability, so if you don’t know what you’re doing, you’ll just disappoint everyone. On the other hand, you’re not designing a website so that you can admire it – you’re actually designing your website so that your customers will like it and find it useful. That’s why research is important. If you have a deep understanding of your target audience, then you can create a website that will suit them best. In order to do that, you’ll have to research deeper into your target audience’s demographic and behaviors. You need to understand who your audience is, what gender they are and where they live. Also, you must know how much they earn and even get to know them on a more personal level so you can identify their overall preferences and likings. Once you get all the information you need, you can create a website that will accommodate customer’s journey and help them make the decision easier. When talking about a website design, it’s not just about the aesthetics. Looks are important too, but we’ll get to that a bit later. Your website’s usability will determine whether your customers will become irritated and frustrated, or they will enjoy the buyer’s journey. If your website is too complex to navigate and if it’s cluttered with a bunch of information, then you can be sure that your visitors won’t like it a bit. As a matter of fact, customers prefer when they can find what they’re looking for on your website without interruptions or distractions. That’s why your website usability needs to be simple, yet effective. For instance, reduce clutter on your website to make it more transparent and make sure your customers can find what they need easily, by categorizing your products or services. Also, make it so that your customers can easily interact with your website and that it leads them where they want to go, without getting lost in a dark corner of your website or getting stuck on some irrelevant information. 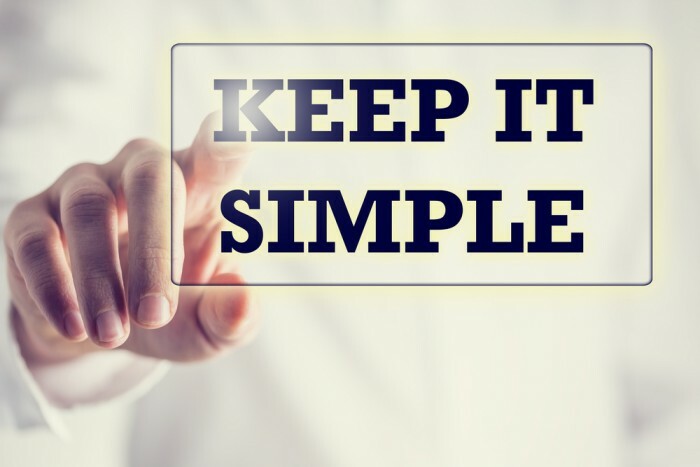 Believe it or not, simplicity is the key to customer satisfaction and the better the user experience on your website, the more chances of closing the deal. If you want to boost your online sales, then you have to make it easy for customers to make the right decision. If you bombard your customers with offers and sales throughout their journey, then you can’t expect them to make up their mind. Trying to push as many offers as you can towards your customers will only be counterproductive. Sure, you may have best intentions in mind to help them realize how good your offers or sales are, so they might make additional purchases or spend more money. But in reality, the more offers you present them with, the more unsatisfied your customers become. If your customers can’t decide which item to pick or which offer to go for, then it’s more likely that they will choose nothing at all. That’s why you need to help your customers down your sales funnels and eliminate distractions on each step they make, which will make them closer to making a purchase. Once they get to the checkout page, there shouldn’t be anything on that page that will distract them from buying. 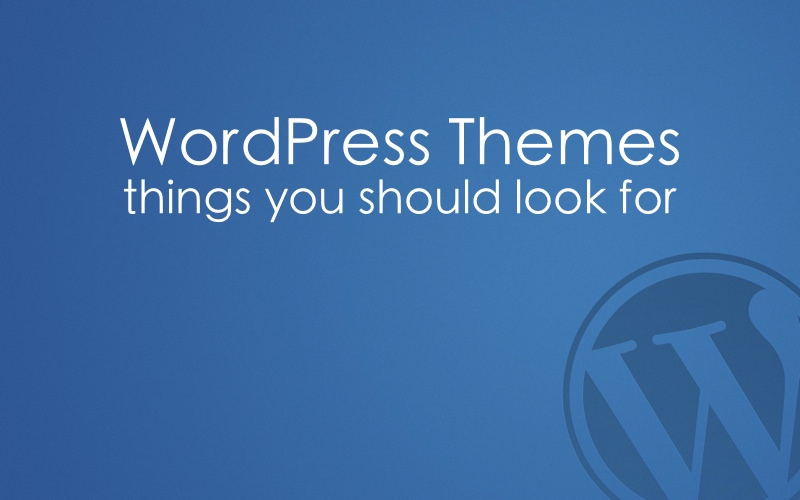 Aesthetics is an essential part of your website and it’s especially important to your customers. In fact, the human brain processes visual information 60,000 times faster than textual information. That being said, it takes only 50 milliseconds for a customer to form a first impression of your website and 94% of all first impressions are based on visual design. That’s why your website must be pleasing to the eye and be able to capture your audience’s attention. That includes colors that will match your customer’s preferences, pictures, and videos that will give more information about your products and services and, of course, an interactive shopping cart that will make purchasing and browsing more enjoyable. However, adding stunning visuals can put a lot of strain on your website, especially if your shopping cart is rich in visuals. That’s why it’s important to make sure your website visuals can go with responsiveness required to make a truly excellent customer experience. A visually awesome but sluggish website won’t do you any good and it surely won’t make your customers happy. If you have trouble matching your website responsiveness to your visuals, you can always go to companies like Quickclicks who will help you improve your website design to match your needs. A lot of people nowadays browse the Internet using their mobile devices, such as smartphones and tablets. 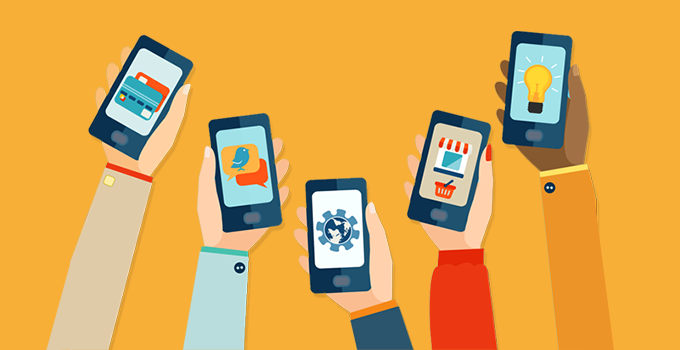 Therefore, if your website isn’t mobile-friendly, you’ll be experiencing a loss in both customers and sales. Customers generally prefer to have options to either visit your website from their desktop or their mobile device as they see fit. That’s why you need to give your customers an opportunity to access your website from different devices and improve your conversion rate. However, mobile users have certain expectations when browsing websites and you must make sure that you meet those expectations and give your visitors the best experience possible. For instance, a lot of websites that are mobile-friendly aren’t really optimized well for mobile devices. That’s why 73% of mobile users reported that they encounter websites that are too slow, while 51% report that websites often freeze or crash. Also, 79% of mobile users who encounter such incidents on websites will never make purchases from those websites again. Therefore, it’s important to properly optimize your website for mobile devices, so that mobile users can enjoy their time spent on your website and make purchases without any interruptions. The website speed is an important factor in customer satisfaction, and satisfied customers are more likely to make a purchase. In fact, 52% of online consumers stated that the website speed affects their loyalty. Also, 47% of shoppers expect that your website page will load in less than two seconds, while 64% of mobile shoppers expect it to load in four seconds or less. In addition, a one second delay in your website loading time affects your business and you will experience a 16% reduction in customer satisfaction, a 7% reduction in conversion rate and 11% fewer page views. That’s a punch below the belt for your eCommerce business, as well as your sales. That’s why you need to boost your website speed and avoid any unpleasant circumstances that will injure your business while giving your customers the experience they’re expecting. After all, if your customers are happy with your website performance and speed they are more likely to recommend your business to their friends and family. The worst enemy of conversion and sales is friction. If your customers have doubts about your business or your products and services, they will hesitate to make a purchase. Moreover, if they have trouble understanding your products or services they will have doubts about them. However, you simply can’t get rid of friction, but you can reduce it to a minimum. The best way to do that is to add valuable information to the description of your products or services, as well as information about your business in general. For instance, if your products are difficult to understand, then don’t hesitate to give your audience an in-depth guide about them by simply making a description video. As a matter of fact, 90% of consumers state that product videos help them in decision making, while 64% of online shoppers are more willing to purchase a product after watching the description video. Furthermore, you will encounter a lot of customers who are just browsing and are uncertain about what they really want, because they have a lot of questions to ask first. To address that issue, add a section to your website or support your website with a blog, where customers can get informed and where you can supply them with quality content that will resolve their issues and answer their questions, as well as give them valuable advice. Also, you can ask clients who were happy with your product or service to give you testimonials. That way, you can banner client testimonials on your website to help reduce friction. After all, customers are more likely to believe a testimonial from another customer, than taking your word for it no matter how good of a spokesperson you are. Once your customers are rid of doubt, they will make purchases more easily. 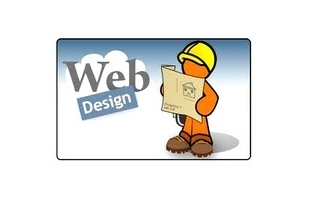 Your website design alone is enough to run a successful business if you already have an established pool of customers. However, if you’re trying to break through the competition and attract customers, then you’ll need to increase your website visibility and online awareness, to be able to get people’s attention. Search engine optimization (SEO) is a good way to kick things off. It’s a cost-effective marketing strategy that can help you get to the first page of search engines. Once people can easily find your website while looking for something specific, you’ll be able to drive more traffic to your website and more website traffic means more sales, if your offers are good enough. Needless to say, by improving your website design, you’re already boosting your SEO. For example, website speed, mobile-friendliness, content you provide to your customers, your website usability and functionality are all factors that determine your website’s rank in search engines, such as Google. Basically, after you develop your website design, you just need to work a bit more on your SEO to build your visibility. Furthermore, you must also leverage the power of social media to promote your business and improve your website traffic – that’s if you want to become well-known and widely accepted. The key to successful social media promotions is understanding which social media channel your target audience occupies the most and start building your presence there. You must also know which message to tailor to your audience so that you get the best response. Last but not least, you must know how to get your audience interested in your products and services and convince them that your products or services are valuable to them. The best way to figure all this out is to go back to research or use the information you’ve gathered if you’ve already conducted it. Your website is the core of your business and its design is the special sauce needed for your business success. It’s important to remember that you develop and design your website in accordance to your customer’s preferences and not your own. After all, you customers are the ones that need to like it, in order to do business with you and procure your products. The better your website design is the more your customers will like it, as well as enjoy browsing it and the happier your customers get, the bigger increase in your sales. Customers have expectations and demands when it comes to buying things online and if you manage to meet or even exceed those expectations, then your sales will skyrocket and you’ll have a crowd of loyal and engaged customers. Thank you for reading, be sure to check back often for other great tips and advice! Hey nice post. I like the idea that you emphasize on making a simplistic design because excessive bloatwares distract teh users attention and negatively affect the website.